« I’ve always hated Good byes! I remember a good friend writing this verse in my autograph book when I was in high school (and that ain’t yesterday!) It’s a beautiful little poem about true friends. You know the ones. That person that you can be totally and absolutely honest with. That person that knows all your faults and still loves and accepts you. The one that gives you a hug when you are almost dead with a contagious flu. Well our son Tony has such a mate. We call him L’il Chrissy. Chris. and Tony began school together at St. Carthage’s in Lismore. They were best buddies right through primary and when they parted to attend separate high schools I silently wondered if that would be the end of the friendship. Well I should have know better. They may not have seen each other every day, but they stayed in contact and were and still are the best of mates. So much so that there was no contest when Tony got married as to who his two attendants would be. Joe his older brother was best man and L’il Chrissy was his groomsman. The three boys have become quite a force to be reckoned with. Each year they get together to re-enact the bucks week end at Iluka. What a fine excuse for a drinking week end. Gotta admire your commitment lads. I’m still wading through these wedding pics and scrapping them. 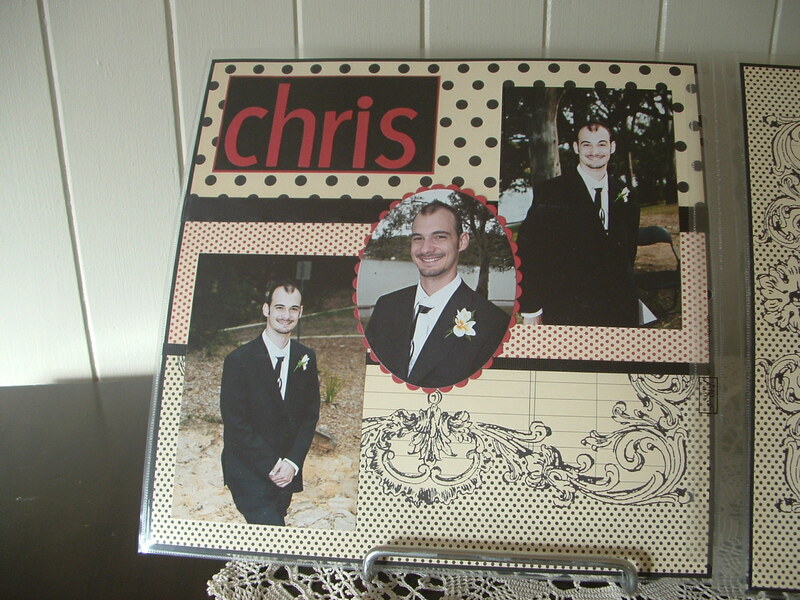 The page that I’ve displayed today is of Chris. 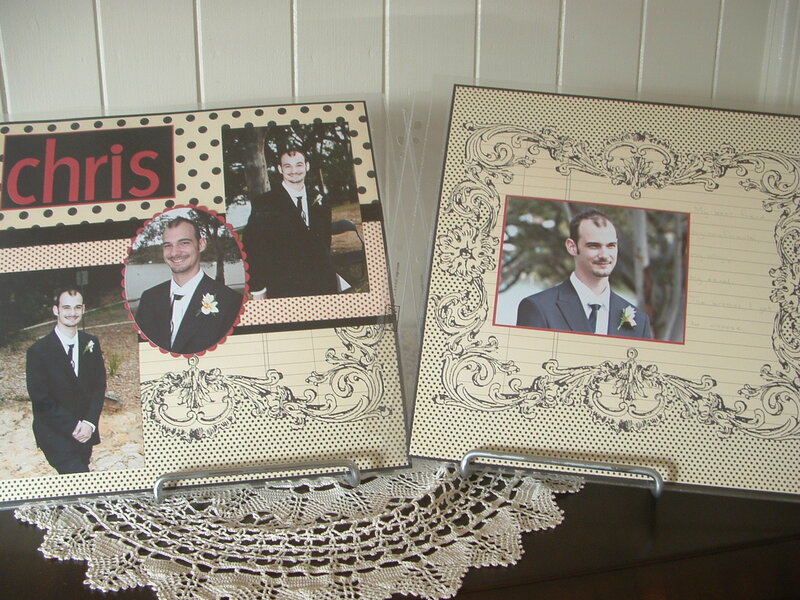 The journalling is still to be done (I cannot decide if I should do it or Tony and Amber!! – decisions, decisions) I’ve pencilled a few thoughts down but still I’m undecided!!! Second page of the DLO. I thought that Chris looked quite pensive in this pic but my ex-copper husband thinks that he’s locked up better looking crims than Chris. (!!!!!!) That’s so not nice! First page of the DLO I love these photos of Chris. Inspite of Dennis’ comments above we love this boy like our own son and it was such a pleasure to do these pages. Well Chris, I hope that I’ve done you proud with these pages mate and I know that you will always be in our lives as you and Tony continue to be best mates. Hello lovely lady! 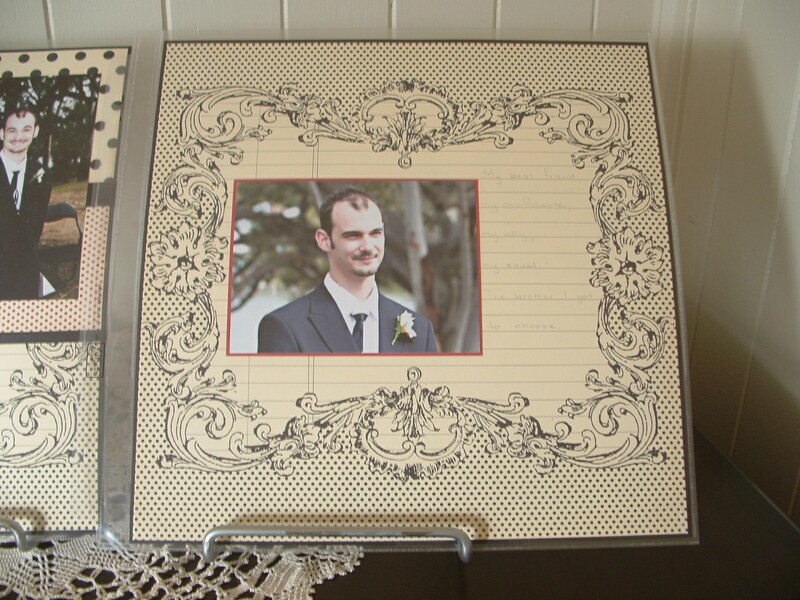 Great to see you scrapbooking away up there in freezing Tenterfield!You are a true friend too!